Day 1 of the WSOP 2008 saw 6,844 participants all vying for the quest of WSOP champion. Each year, a number of the online poker rooms give away qualifying seats to the Main Event through online satellites and sponsored packages. It is in the online poker room‘s best interest to get as many of their own players in the Main Event as the televised event can mean big advertising exposure for these poker rooms. 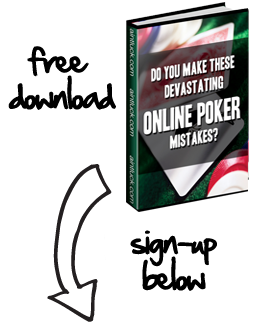 This year, we have seen quite a number of participants from the various online poker rooms. Let’s take a look. Of note in this year’s tournament is the increasing presence of Bodog poker players at the tables. In fact, the field of 6,844 participants in the 2008 WSOP had 80 Bodog poker players. After Day 1, the field was cut in half and Bodog’s entourage was also cut in half to 39. Among the remaining Bodog poker players at the beginning of Day 2 of the 2008 WSOP is Bodog Poker Pro, Evelyn Ng. Evelyn is actually doing quite well for Bodog and is one of the few players in the tournament with more than 100,000 in chips at this juncture in the competition. Svetlana Gromenkova is doing quite well for Bodog as well with over 94,000 in chips going into Day 2. Svetlana is coming off a high point in her career with the Ladies event bracelet. So far it’s a ladies WSOP for Bodog. We’ll see if that continues through the rest of the tournament. Other notable Bodog Poker Pros in this year’s Main Event are: Anthony Smith, Jean-Robert Bellande, and Shirley Williams, mother of poker pro David Williams. PokerStars seems to always have some of the largest contingents of any online poker room each year at the Main Event. You can’t walk into the Rio and not see a PokerStars logo on a person’s shirt within the first 5 seconds. This year is no different as PokerStars qualified a whopping 2,088 players for this year’s WSOP. That’s almost one third of the participants in the 2008 WSOP! Notable PokerStars Poker Pros at the Main Event this year include Dario Minieri, Hevad Khan, and Victor Ramdin. Mineri actually lost in the last level of the night but both Khan and Ramdin finished very strong. In total, there are 27 official PokerStars Pros going into Day 2 including: Barry Greenstein, John Duthie, Vanessa Rousso, Bill Chen, Chris Moneymaker, ElkY, Joe Hachem, Noah Boeken, Isabelle Mercier, and Victoria Coren. Sumeet Batra, Paul Loh, Phillip Liou, Anton Allemann, and Bill “Miros” Purle all finished very strong with close to 100,000 in chip counts starting Day 2. This is well over double the average stack size and these players will be in great shape going forward. There is limited information on the Party Poker players at this year’s WSOP Main Event. We can tell you that some of Party Poker’s qualifiers are doing quite well at the Main Event. Jan Skampa, an economics student from the Czech Republic finished Day 1 with 108,450 chips. Stephen Kenna from Ireland also finished quite well with over 72,000 in chips. It seems that Jan Skampa is Party Poker’s main hope for the bracelet as he is the only player in a decent position for Party Poker going into Day 2. Thanks for the update. I’ve been following Jan Skampa, thanks for writing about him. Hope he takes home the bracelet too! Was Guy Laliberte cheated in Online Poker?